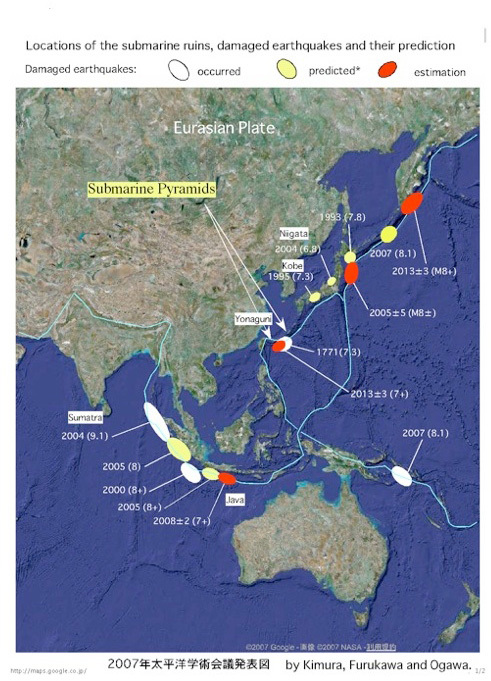 Submarine ruins as an indicator of active crustal movements along the Ryukyu Island Arc, western margin of the Pacific Plate. – I wonder if recent large-scale tsunamis, characterized by the one off the Kuril Islands, may be one of the signs of the new cycle of the crustal movement along the western Pacific margin. Copyright （C） 木村政昭ホームページ All Rights Reserved.